Population growth: is Malta reaching the limit? Denise Grech looks into the potential environmental, economic and infrastructural impacts that the current rate of population growth may have on the country. The population density is set to rise to 6,700 per square kilometre in just over a decade, human ecology and sustainability researcher David Marinelli said on Saturday. 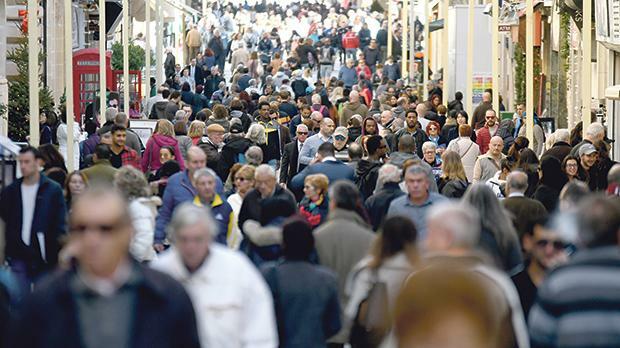 His warning comes in the wake of concerns recently expressed by the Malta Employers’ Association that the population may reach 700,000 in a few years’ time, particularly due to the increasing reliance on foreigners to address the shortage in the workforce. Association president Dolores Sammut Bonnici has described Malta as being completely unprepared for the economic growth being registered. Her concerns were echoed by the Malta Hotels and Restaurants Association, which called for a study to establish the maximum number of tourists that Malta can cope with due to its limited size and high population density. With a higher population, Mr Marinelli warned, Malta’s current “disastrous” environmental situation would only become much worse. Malta is already considered one of the most densely populated countries in the European Union, with about 1,265 inhabitants per square kilometre of total land mass. Total population density in urban areas already stands at 4,550 per square kilometre, said Mr Marinelli, one of the founding members of the environmental NGO Gaia Foundation. Meanwhile, the people’s representatives were insisting that Malta become a “city state like Hong Kong,” he lamented. When we speak of economic growth we need to ask – growth of what and for what purpose and for whose benefit? Malta was already beyond its capability to manage the waste that it produced today. “To think we can manage even larger quantities is ridiculous,” he said. Current policies also failed to protect and restore the ecosystems of the natural spaces in Malta, which were already severely degraded. The increase in population was not caused by the organic growth of the Maltese population but was driven by economic growth, he noted. The Maltese were stable at just over 400,000 people, likely to remain at this level for the foreseeable future. The increase in population numbers was “solely due to foreign workers and tourists”. He asked whether it made sense to create jobs for foreigners in businesses owned by foreigners. Mr Marinelli fears that a further increase in population will create “a hell from which we would not be able to come back”. The subject of population growth cannot be discussed in an “alarmist way,” economist Gordon Cordina said. The debate over the handling of population growth was one which the country should be having for the next few decades. “We need to be clear on how we will reach a compromise where we are still attractive to growth but know how to manage it,” he said. There was a potential for the population to reach 600,000 and 700,000 – but the question was when, Dr Cordina said. He expressed hope that the influx of foreign workers would not drive out locals from the property and job markets. Dr Cordina said a phased approach to policies managing growth was necessary. Calling for investment into behavioural change, Dr Cordina said that transport, waste and education should be a priority. “Over the years, we have been reliant on our cars and almost subsidised to use them, without considering the impact on our environment and what we would need for further development,” he said. The government should look into how to develop industries alongside residential and business development, while investing in the necessary infrastructure. The country could sustain large numbers but people needed to behave in a way that is sustainable, Mr Cordina said. Convincing people to address sustainability was much more of a challenge now. “It’s easy to face a challenge when things are going really wrong and everyone is pulling the same rope,” he said. “Now that things are going well, it’s a bit harder to motivate behavioural change, but I believe it’s the way we should be going, he said. 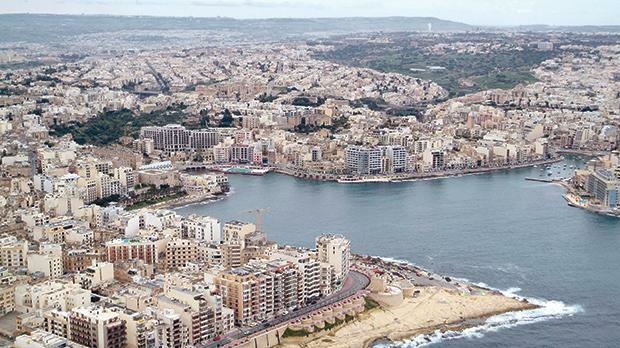 Malta Hotels and Restaurants Association president Tony Zahra said a carrying capacity exercise was needed in terms of the country’s population. He gave an example from tourism: at the Hypogeum there had been such an exercise to see how many people it could take before being negatively affected. The exercise would also look into the effect that an influx of tourists could have on heritage sites. “That’s what people come here for,” he said: to go to Valletta and the temples. The point of the exercise would be to highlight that some serious planning was needed in the growth of the country, he said. Like Dr Cordina and Mr Marinelli, the MHRA president voiced concern about road management. JobsPlus chairman Clyde Caruana however insisted that the labour market could not do without foreign workers. Noting the challenges to infrastructure and housing, Mr Caruana said that at the current growth rate, Malta would need up to 35,000 foreign workers in the next five years. The JobsPlus chairman was also asked whether the current population could be much larger than 450,000 due to foreign workers that are not registered. “If people think that the figure of unregistered foreign workers runs into the tens of thousands, then they are wrong,” he said. Mr Caruana also noted that Malta has an ageing population and that for welfare and healthcare to remain sustainable, workers were needed.